Letters Stolen From The Alphabet. The current exhibition in Manchester city centre’s ‘OBJECT / A’s elongated underground space may logistically be a relatively simple affair to mount but Rick Copsey’s ‘See Views’ play with BIG themes, self-consciously filtered through the unfashionable popularity of Gothic forms. The Gothic novel regularly relied on driving narrative by the device of reproducing descriptive fictive letters, communiques between parties and primary characters in the story. It subliminally co-opted the necessary fact of the reader holding text on paper into being an additionally seductive drawing-in of the audience, added a peculiar realism to the fantastical, made the book seem more like reportage than storytelling. There are obvious parallels here with photographic prints, flat objects masquerading as the truth of a scene; photography as a compressed selective misremembering of the space of experience and places experienced. 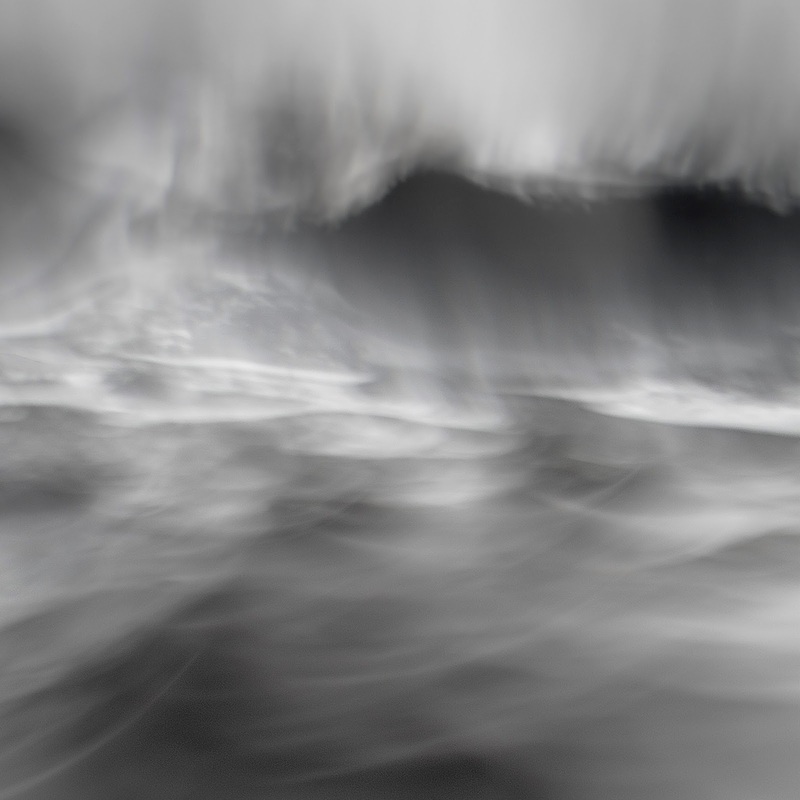 Rick Copsey’s works appear to be dynamic and overwrought photographic examples of the historically conservative genre of landscape, or more accurately seascapes; to be a gauzy haze of fixed actualities, insinuations of material substance as muted intimation of space and time. The images are in reality digital parodies of photographic prints, microscopically small areas of paint on canvas toyed with and enlarged. These close-up and amended digital photographs of smears of paint on canvas begin to simulate semi-abstract seascapes - the sublime hidden in the mundane - and, like hallucinogenic CGI ‘stills’, radiate an ambient unnaturalness. The clever double bluff here is that the viewers initial confused misreadings of the images can’t cancel out the fact that micro-panoramas of the slow-motion liquidity of paint actually fulfill the implications of the initial impression of the images perfectly. For all their visual dynamism there is a wry knowingness about the whole display. They are fake seaside snaps of the chaos of a broiling id, buffeting against the purity and constraints of a medium born from chemistry and the reductive aesthetic of the early years of Modernism, with its compartmentalization of human impulses into the administered and manageable. Copsey seems to be attacking the clear historical paternal referent of painting as a medium whilst begrudgingly acknowledging a nostalgic love of its aspirations and its failures. The ‘art’ bit is not in Copsey’s transcriptive technique or compositional selection but in finding a way to anchor the overt assertion that the sublime is hidden in the mundane in a seductive and layered image.